Diamond are the hardest naturally occurring substance. Throughout my career I have heard “I don’t have to take it off, it’s a diamond. Nothing will happen to it.” on too many occasions. This blog is about how and why diamonds chip. Diamonds are the hardest naturally occurring substance, but they only have good toughness. Due to the crystal structure diamonds are prone to chips and breaks. 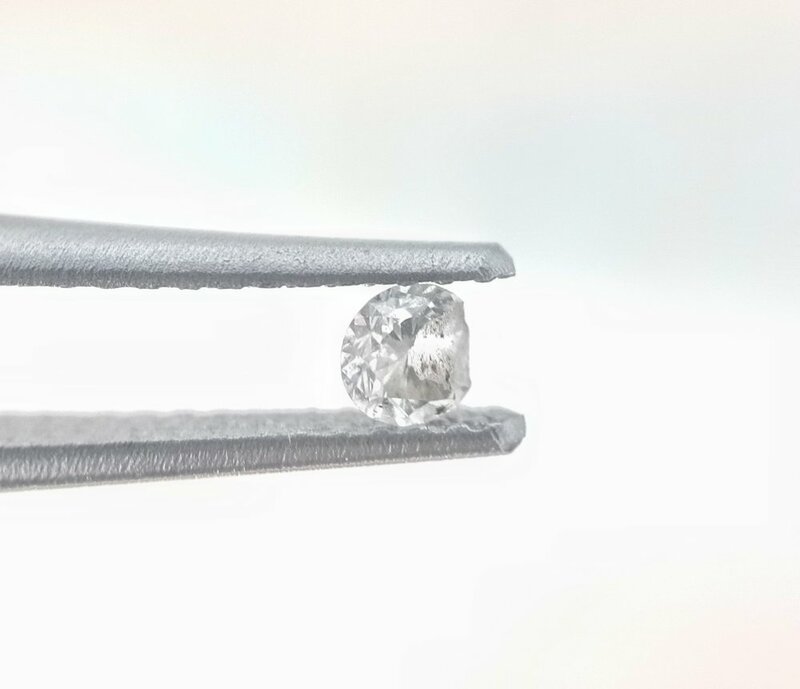 If you inherit or buy an antique diamond small chips and nicks around the girdle can add to the uniqueness of your stone. It is so cool to know your stone has a rich history. Someone wore it and loved it. The shape and clarity of a diamond can both have an effect on how easily it will chip or break. Shapes with points like marquise, pear, and princess are more susceptible to chipping or breaking at their corners. Salt & Pepper diamonds (read more about them here) and diamonds with clarity in the I1, I2, or I3 range can all have surface reaching fractures that impact both the stability and sparkle of a diamond. In some rare cases diamonds can even shatter.